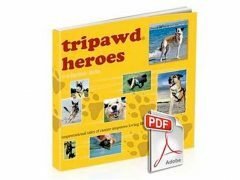 A Tripawd? Disabled? Not. But that’s OK, this is still a great 5 Minute Download Video for anyone who’s wondering if their Tripawd can play like any ol’ quadpawd. 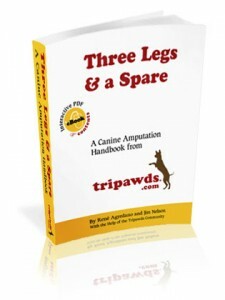 For more information about three legged dogs, playtime and fitness, be sure to download “Three Legs & A Spare, a Canine Amputation Handbook.” This fully interactive PDF offers the best tips and advice from more than four years of the Tripawds community’s resources for amputee dogs and their people. 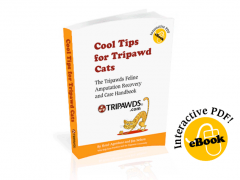 Save Big on eBook Downloads!